Roofers want higher Google rankings and SEO is the way to get them. Roofing Webmasters provides ongoing SEO services to contractors across the nation. As the number one authority in digital marketing for roofers, The Webmasters has hundreds of clients already on board. Our team of experts is ready to provide a full and ongoing optimization experience. While the end goal of ranking #1 on Google remains the same for every company, the process of getting their will vary by circumstance. We work with roofing professionals in all stages of their development by providing custom websites that or fully optimized for search in order to rank for relevant keyword terms within a local service area. SEO is not a one time thing. You cannot apply SEO and then move on. Optimization takes regular and consistent work. That’s why the companies you see ranking ahead of you on Google SERPs must work to sustain those rankings over time. While tenure does play a major role in search rankings, there is a baseline standard for optimization that must be met and maintained. Through blogging, content updates, on-site changes, and technical notifications, Roofing Webmasters continues work on client websites throughout the duration of our partnership. Google algorithms continue to evolve each year and websites that keep pace are rewarded. 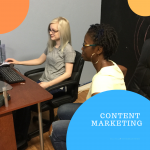 Content Marketing We effectively market your content to engage with potential customers The way your content is marketed will define your success as a roofing company and determine how many leads you ultimately generate and convert into customers. 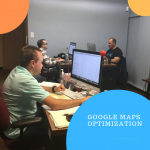 Google Maps Optimization We optimize your local roofing company for Google Maps Location mapping has become a critical element of online marketing and is now a requirement for roofing companies looking to rank on local searches. 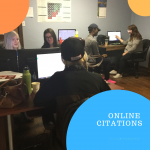 NAP Citations We claim and mange your listings on online directories Build your reputation through citation sources like Angie’s List, BBB, and HomeAdvisor, while creating valuable backlinks from reputable sources. 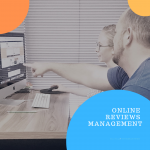 Reputation Management We help you generate online reviews and manage your online reputation Review sites like Yelp and Google My Business can define your roofing company’s reputation on the internet, and either persuade or dissuade potential customers. 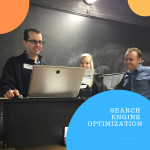 Search Engine Optimization We optimize your website for organic search and sustainable growth Create a sustainable online presence with an impressive ROI through organic search optimization designed and tested for Google search results. 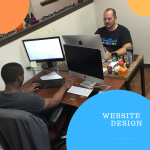 Website Design Our web designers create and optimize your website for Google search Structured data and schema markup make your search engine listings more attractive and informative, creating relevant traffic that you can convert into customers. Updated on March 11, 2019 at 8:15 pm by Roofing Webmasters.